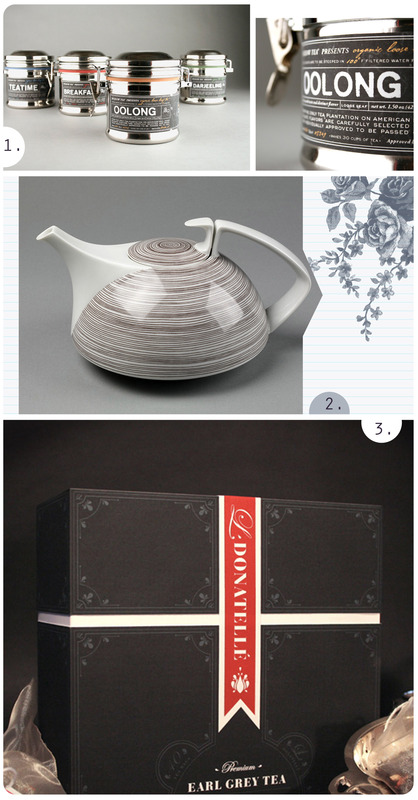 …But something about tea and all the things that go with tea seems to inspire designers. They really to step it up when it comes to branding and designing for tea companies. Or maybe the heads of tea companies are a particularly demanding and refined group, pleased with only the most beautiful of deigns. Either way, well done designers! I was especially impressed with this little collection of designs. They are just so un-stereotypical and almost masculine. I love the dark color pallet and sleek lines in each of them. Stunning. Have a happy, cozy, beautiful Monday! I used to like coffee a lot; but then I took to tea, and I have been having it every morning and evening since. I dont know why that is, but there’s something about tea that you really get to like. perhaps I need to give tea more of a chance! It’s such a beautiful drink. Have you ever tried the flowering tea bags? Could a drink get any prettier? I’ve never tried tea bags, actually. We make tea the old fashioned way.